Since 9/11, America has been overseas. This is not to say that every American has gone to war, but the brave men and women who have gone are on the minds of those left behind to wait for them. Sadly, when the troops return as veterans, they’re rarely the same. Most veterans come back with distinctive differences in their attitude and personality. This is one way to support those who have returned a little unlike their former selves. According to United States Census Bureau, there were 19.3 million veterans in the U.S. as of 2014. Many of them are suffering silently, isolated and struggling with addiction and homelessness. PTSD is a condition suffered by people who have seen/experienced horrible, traumatic scenes/events that replay in their minds, and these scenes can even trigger violent episodes when the veteran experiences a flashback. Green lights might help them feel less alone. Like these homes, you too can support veterans in your area. 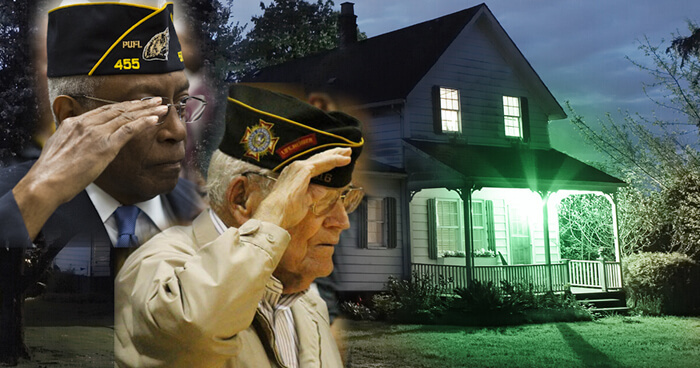 Simply install a green light outside your home or in your apartment to show your ongoing support for veterans. You can be part of this movement to comfort the brave men and women who have done so much for their country. There is nothing like seeing the sacrifices one makes recognized by those for whom so much was given up. We can all do something to make veterans feel appreciated and this is one more way. In this video, Lourde tells her story in her own words. This brave young woman is one more reason to shine your green light.